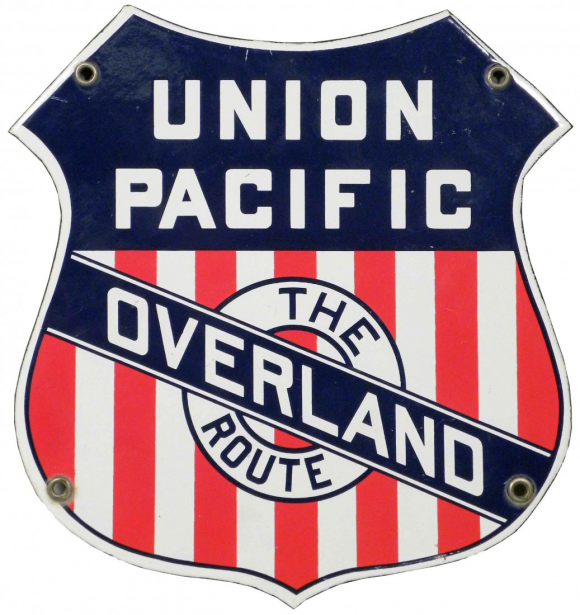 This is a shield-shaped Union Pacific Overland Route porcelain sign. This particular Union Pacific Overland Route sign is red, white, and blue. It reads, “Union Pacific, The Overland Route” and features red and white stripes at the bottom of the sign.